The flat consists a part of a recently restored mansion that participates in the Agrotourism program and which has been declared preserved by the Cyprus Department of Antiquities. 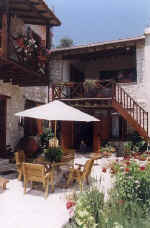 It has kept its original character and it is stone-built, internally has been accommodated to modern life demands with its own central heating, kitchen and bathroom. 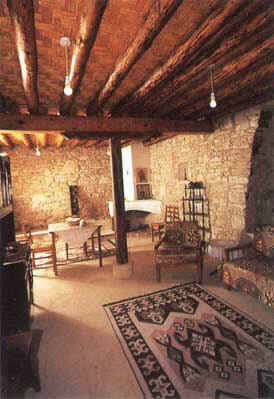 Flat is fully furnished with furniture to match the history and traditional style and character of the house. 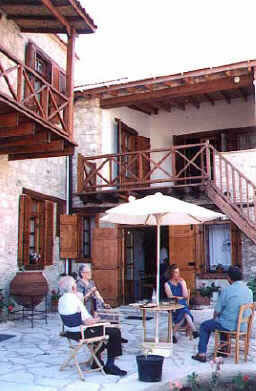 It has a balcony offering spectacular views of the village and the mountain of Panagia. Flat is open to a beautiful garden and to stone-paved yard and it is located in the heart of Panagia. Washing and dryer machine, iron and iron-board and a phone which functions with coins which are all located in a small house at the entrance of the mansion. Also there is a parking facility.